You value your clients, they trust your judgment. They reward you time over time with repeat business and that powerful word of mouth. Now is the time to offer them authentic African nature safaris from Ontdek Kenya that will truly set your company apart. 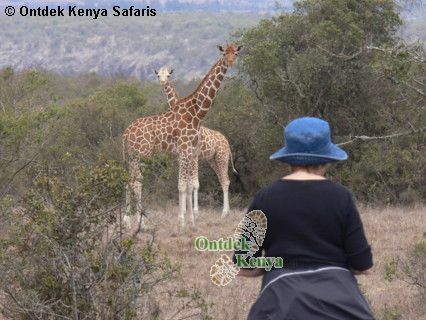 Why Partner with Ontdek Kenya Safaris? - We are a registered Kenyan tour operator and authorized to run tourism business by the Kenyan Ministry of Tourism. - We are in business since '96 so we bring in many years of experience in walking safaris, bird watching holidays, photo safaris and responsible wildlife viewing. Under these themes we offer educational tours, family safaris and private tours. - Upfront Ontdek Kenya safaris does not suit every type of traveler. See our clients’ profile. We hope this is your type of a client, so know we are on the same wave-length, which really matters in an agent-tour operator relationship. - Knowing that the first step in any tour is made in the mind, we provide our agents with reliable information about our tours for further pass on to their esteemed clients. We answer all queries from practical ground experience, not from what the guide books say or what is the popular fad in tourism. - We are open to our agent’s suggestions regarding their clients' preference and can tailor-make itineraries to individual needs. At all times we respect the confidentiality that our partners have with their clients. - Our nett prices, which are inclusive of tour related ground costs, are true value for money. We sincerely look forward to partnering with you. We always do our utmost best to add value to our agents' brands. 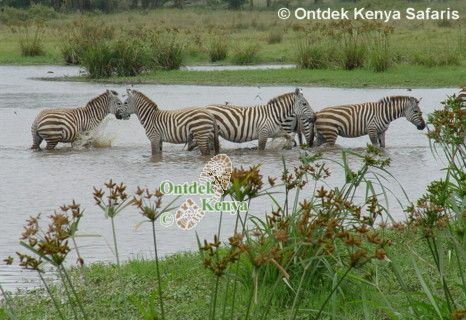 Please contact Ontdek Kenya Safaris.